Fascioliasis is a liver disease of animals (sheep, cattle and other herbivores, but also dogs) and less frequently of humans. 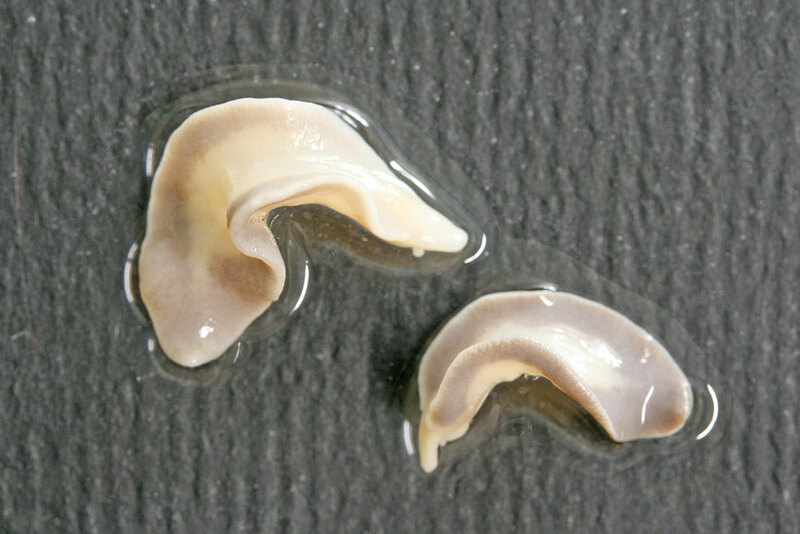 It is caused by the large trematode Fasciola hepatica. 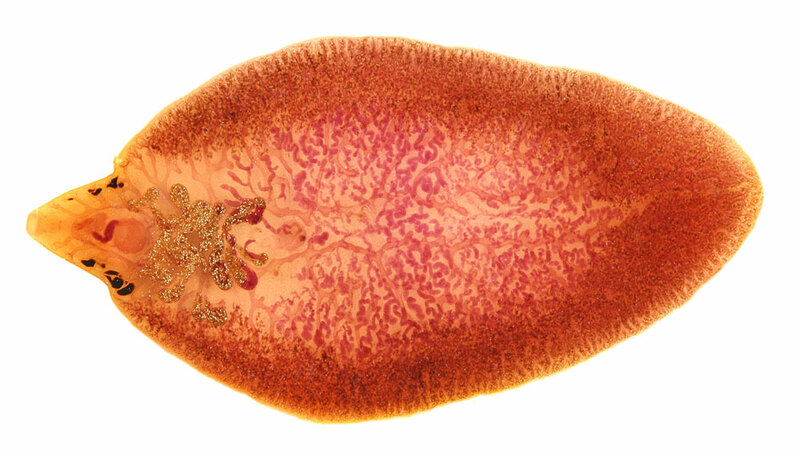 The adult flukes live in the bile duct. Undeveloped eggs are passed with the faeces. After development the miracidium hatches in freshwater and has to find its suitable intermediate host, an amphibious snail where development and multiplication occur. Cercariae leave the snail and encyst on wet grass or aquatic plants, such as watercress. The final host is infected by eating uncooked plants with metacercariae.